If we are ever going to fix the mess that we’re in here in Baltimore and around the country – the chronic police mistreatment of citizens, primarily citizens of color – our judicial system has to step up and hold law enforcement’s feet to the fire. All too often, they don’t. The role of the courts often gets left out of the conversation on police accountability. Reform is a comprehensive concept involving improved training of police officers, internal accountability within departments, tighter legislation from elected officials, but also an ultimate check from judges when things go wrong. Courts are a large part of the equation for reform, but they have instead consistently chipped away at people’s Fourth Amendment rights to be free from illegal stops and searches by police. This erosion of rights leads to more and more questionable encounters between cops and citizens. These interactions build from questionable searches to excessive uses of force and ultimately deaths at the hands of police. They chiefly affect black men. Courts end up giving cops a license to operate the way they do. 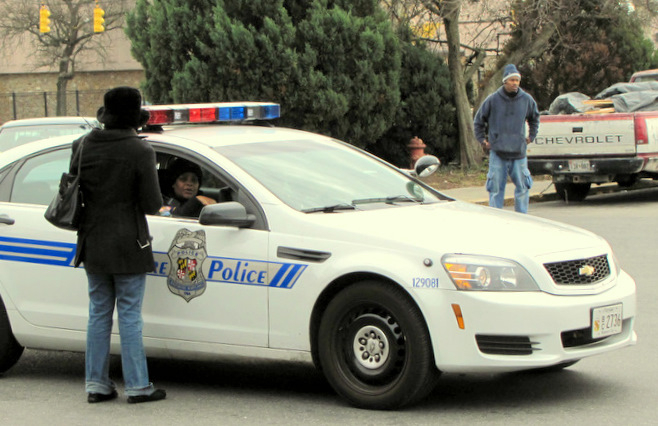 As a Baltimore public defender, I see the parallels between the decisions that judges make on Fourth Amendment issues and more serious police misconduct. A recent example of how our justice system furthers the policing problem is last month’s Supreme Court ruling in a key case on the police’s ability to stop and search people, Utah v. Strieff. The Supreme Court just doesn’t seem to want to put its foot down on this injustice. In Strieff, the majority reasoned that illegal conduct on the part of the police in stopping someone can essentially be “cured” by intervening circumstances. Justice Clarence Thomas wrote the opinion for a group of justices so out of touch with the realities of policing today, it’s as if they had never heard of Michael Brown, Tamir Rice or Freddie Gray. Strieff deals with a 2006 encounter between Edward Strieff and police in Salt Lake City. The police observed Strieff among foot traffic leaving a suspected drug house. The investigating detective saw nothing illegal, but stopped Strieff to check his ID. The detective then determined that Strieff had an open warrant, put him under arrest, and searched him. The search netted a small amount of methamphetamine and paraphernalia. Strieff was charged with illegal possession of drugs, a prime illustration of the war on drugs still being waged. I often come across encounters like Strieff’s in my own cases. After two appeals, the Supreme Court ruled that, despite being initially illegally stopped – which all sides agreed on – Strieff’s warrant suddenly made his detention okay. With Strieff, the majority reasoned that the officer was not improperly “fishing” for evidence despite his admitted purpose in being there to monitor drug activity. The Court bought into the police’s account and validated the search with a “back door” excuse. Now judges in Baltimore will likely follow this scary standard that only reinforces problematic policing. Thank goodness for Justice Sonia Sotomayor’s poignant, hard-hitting dissent. “The court today holds that the discovery of a warrant for an unpaid parking ticket will forgive a police officer’s violation of your Fourth Amendment rights,” she wrote. “Do not be soothed by the opinion’s technical language: This case allows the police to stop you on the street, demand your identification and check it for outstanding traffic warrants — even if you are doing nothing wrong. In her dissent, the justice argued the majority in Strieff was missing an opportunity to curb police misconduct. “Officers prone to negligence can learn from courts that exclude illegally obtained evidence. Indeed, they are perhaps the most in need of the education, whether by the judge’s opinion, the prosecutor’s future guidance, or an updated manual on criminal procedure,” she writes. Sotomayor is saying that there have to be consequences when the police violate citizens’ rights – primarily the exclusion of illegally obtained evidence, which can ruin cases but teaches officers lessons. The Strieff decision lets law enforcement get away unsanctioned. Amen. 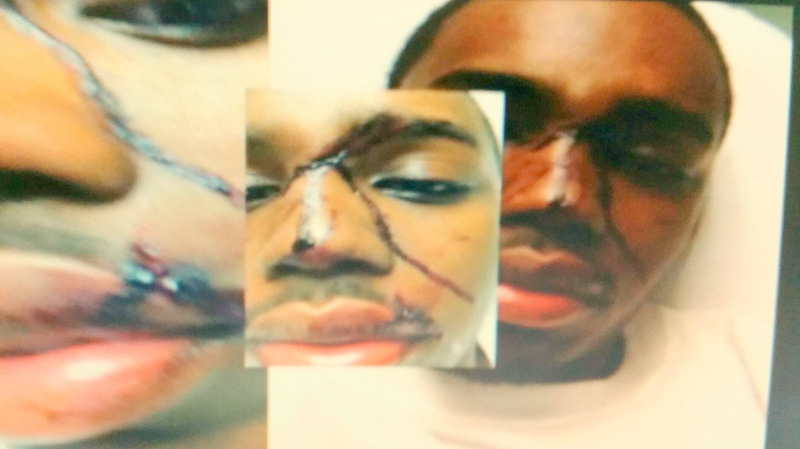 These incidents affect so many of my clients, who for the most part are African-American. Sotomayor’s impassioned statements in Strieff are exactly what the nation needs to help a larger effort to improve policing: a push from the judiciary. Having said that, I’ll note that Mr. Strieff is white, which should strike a chord in those who aren’t yet invested in this struggle. Could judges – and the justices – be unaware of the pervasiveness of this problem? The stops and searches that end up getting litigated in court are a mere fraction of such incidents that occur routinely and disproportionately affect both black people and poor people and leave them without recourse. That is why upholding citizens’ rights when they do result in charges, no matter what kind of case, is so crucial. I hear from too many people in Baltimore about being stopped by the police for no good reason. An African-American female attorney I know was profiled by police while driving through Roland Park in a friend’s BMW because of her race and vehicle. When the officer reached the driver’s side window, he called her “sir.” Conceding his error and realizing there was no justification for the stop, he let her go without a ticket or an apology. Such stops happen in part because of the police officer’s understanding of rulings from the courts. When a judge validates illegal policing to preserve drug or gun evidence, that might appear to be an immediate crime-fighting aid. But there is a huge downside. The message that comes across to the cop is that it is okay to violate someone’s rights to obtain evidence. It’s okay to demean a suspect who talks back. It’s okay to put your hands on them. It’s okay to use more force than necessary. Finally, it’s okay to shoot. After all, who’s going to call them out? Not the Supreme Court.